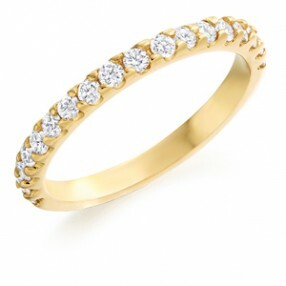 Diamond half set eternity ring consisting of eighteen round brilliant cut diamonds featured in a micro claw setting. With it’s low profile, this particular style of ring is also a very sought after choice of wedding band, complimenting a wide range of our engagement rings. In 18 carat white or rose gold.